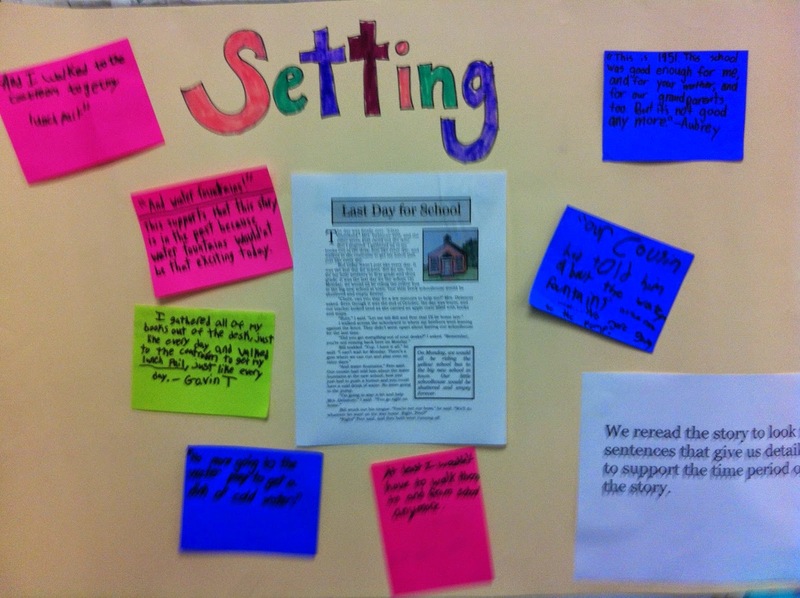 This week, we have been looking closely at setting. In fourth grade, the big task of understanding setting means moving beyond stories with simple, one-note settings and into stories that have richer and deeper settings. Students must also be able to find details from a story that support a setting. -"Why is there an arrow at the end?" -"What does fairy tale time mean?" Then, we used the graphic organizer to help us find the time period of the story we had just read, "Last Day for School". (This story can be found in Character Traits and Emotions.) The date, 1951, is provided in the text. Past or present? Students talked in pairs about how this is kind of the present, because it isn't that long ago, but still the past. The next step was to find sentences to support the setting. Quoting accurately from a text is an important standard for fourth graders, and it's hard for them to do early in the year. Sometimes a square of brightly colored paper and a fine-point marker helps the process along. After we identified the setting, we worked to find sentences from the text to support the time period setting. Of course there was the one sentence that stated the year, but were there others? Students had to comb carefully through the text--just the kind of careful, thoughtful reading that I am trying to cultivate. Finally, just a quick word about the inspiration for the story! Around here, the last one-room schoolhouses were still open into the beginning of the 1950s. I've talked to quite a few people who went to one-room schoolhouses, and their feelings about the end of the era ranged from Claire's to her brothers'. 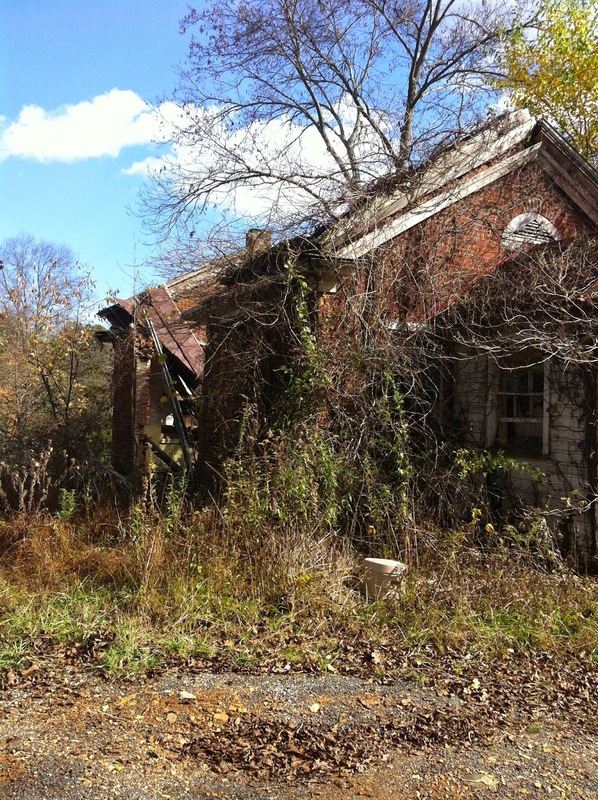 Schoolhouses dot the landscape, from nicely decorated houses to abandoned hulks. Each year I stop by this crumbling place, conveniently situated along the route to Penn State from my house. I always think about the teachers and the students who went here and the lessons that were taught. Of course the modern schools of today are much, much better...but in my heart I think I feel a bit like Claire, sad to leave her old school behind. In the first few weeks of fourth grade, I am all about words on the page. It's like coaxing squirrels out of hiding--the classroom needs to be a gentle place, a place of calmness and smiles and happy things. But it can't stay like this. As a writer myself, I know that smiles and rainbows can only go so far. Writers sometimes need more than a nudge to move them out of comfortable habits and ineffective strategies. It takes some time to move from the coaxing stage into the working stage. To test the waters, I ask students a simple question: What is high quality writing? This year, as they called out their responses, I wrote them (as quickly as I could!) in the magenta marker. The responses at the top are the earliest ones. The ones on the right were taken from the bulletin board about our reading class. What do you notice? It's easy to see that they are focusing on the external characteristics of writing--what a piece of writing looks like. I've noticed over the years that this is fairly common in fourth graders (and probably most students). When asked the question, "What makes high quality writing? ", they respond with the most outwardly obvious characteristics of a piece of writing. It was hard, but I didn't comment on what they said. Instead, I showed students a piece of writing that looks polished, but is obviously flawed. I wrote this piece "live"--I told students I should charge for admission!--to demonstrate that not every piece with periods and sentences is high quality writing. Of course I added some humor to keep their attention. Hands went back up in the air as students considered why the monkey piece is not high quality. Their new comments are written in blue. You can see that these comments focus much more on content and organization. My students have all had high-quality writing instruction, but they needed to see a poor example in order to access what they've already learned. The "support claims" idea was based on a student discussion about the use of opinions in my piece. "You shouldn't use opinions," one student declared. Others disagreed. Eventually I did help them with the language of "support claims", mostly because the longer, more convoluted way they were saying it would have taken me a long time to write. What did I learn from this? My students are still developing ideas for what makes high quality writing. I have to be very, very careful in my comments and feedback to promote an emphasis on content and organization. My students really really want to please me...but I have to make sure that we are working toward high-quality writing, and not just a piece that will make the teacher happy. Our next step was to work on paragraphs from Daily Sentence Writing. When students finished, I sent them to the chart to see if they noticed characteristics of high-quality writing in their own pieces. 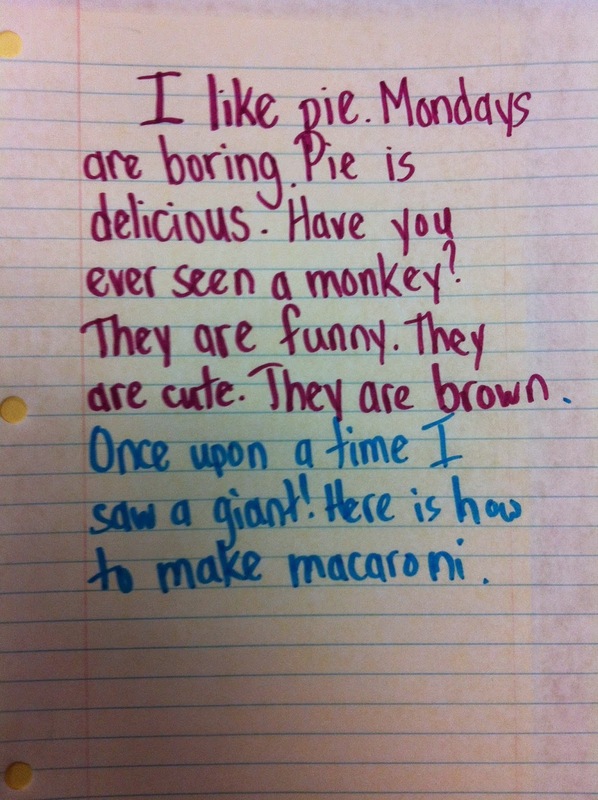 At the end of the class, I asked, "What did you do today to create high-quality writing?" Over the next few weeks, my goal will be to help students develop their own rubrics, rubrics that will guide them as they assess their own writing and the writing of their peers. 1. Ask students, "What makes high quality writing?" Record their ideas. 2. 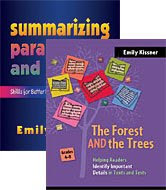 If students seem to focus on surface elements, show a piece that uses correct punctuation and spelling, but lacks organization and a coherent ideas. If you don't feel comfortable with live writing, it's perfectly fine to create this piece ahead of time. After students read this new piece of writing, ask them to generate some new thoughts about high quality writing. Record new ideas in a different color. 3. (It might happen...) Students may not be able to generate any criteria related to content, organization, or word choice. In this case, 6 Traits lessons with great mentor texts are called for! I like the lessons at Writing Fix for this. 4. Give students time to write. Anything! 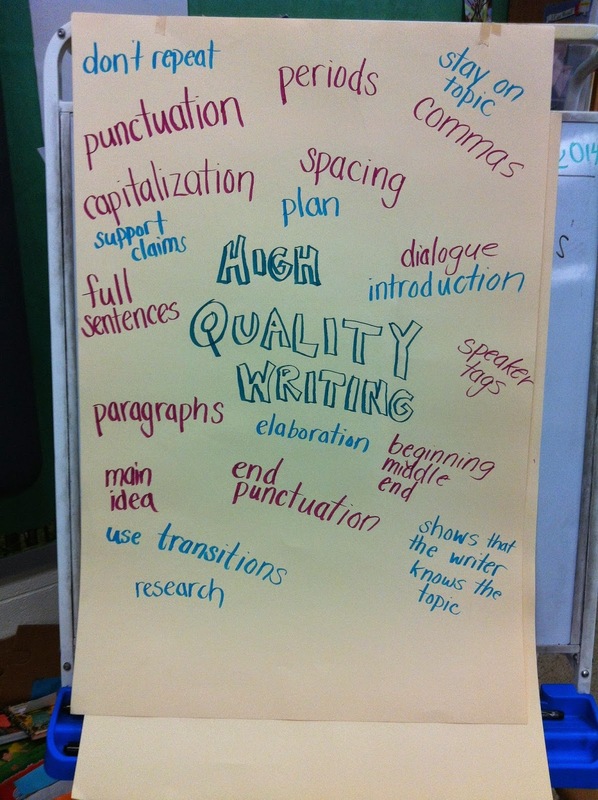 Remind students to refer to the chart for qualities of high quality writing. 5. Ask students, "What did you do today to create high quality writing?" Encourage students to look back to the chart to describe what they did. In fact, you may even be able to add some ideas based on student responses. 6. Keep the chart visible in the classroom and add to it.